How Long: Marathon race 46k, Half-Marathon 26k and the Sprint/U19 will be 12k. What is different this year? We have moved! 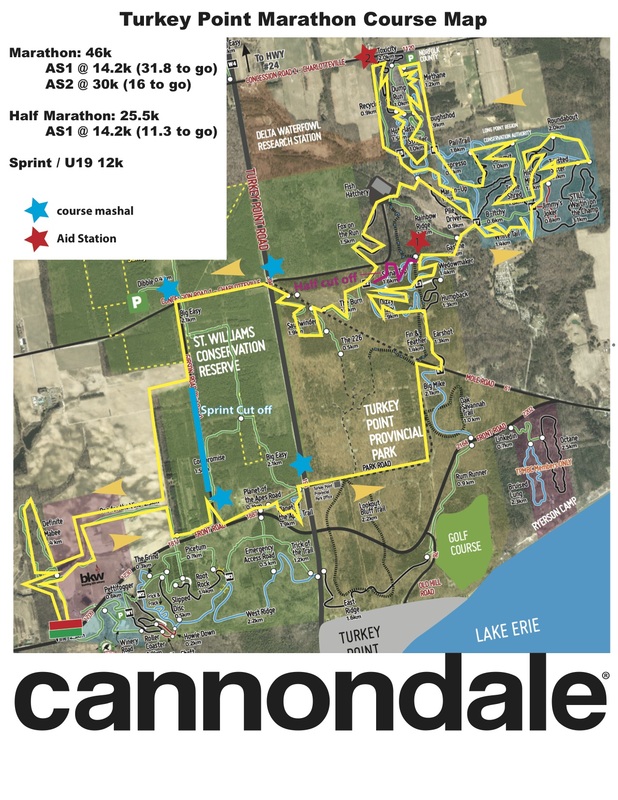 The first XCMarathon race of 2019 will be at Turkey Point! The trails are the first dry trails in the province each year. 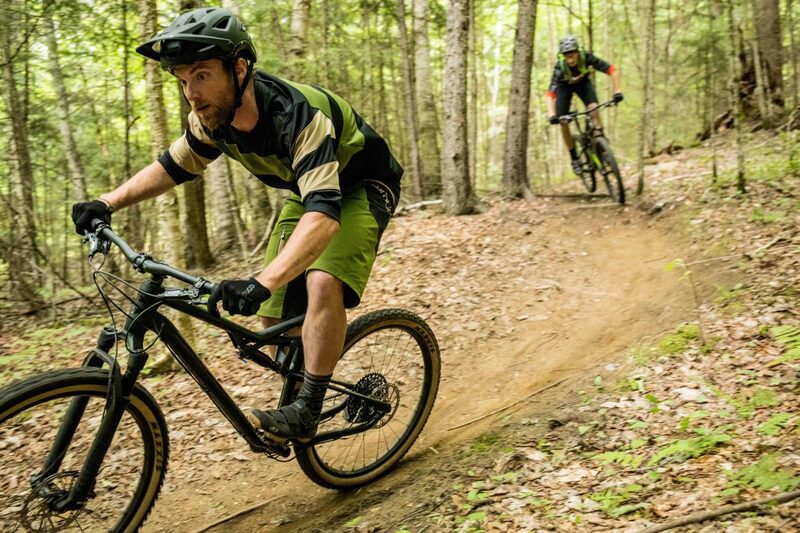 In fact there is a Spring Kicker Mountain Bike Festival each year hosted by the Turkey Point Mountain Bike Club, which will be the day after the XCMarathon race. Come down for the weekend and race Saturday, camp out, and ride/demo Sunday. There will be lots of food and fun happening all weekend. There wont be any major climbs but a few good rolling climbs to test your fitness in the early season. Aid Station: As always we will take your bottles out to the aid station. There will also be water, eLoad, bananas, and some other grabby food at the aid station (some people like pickles… I don’t get it but who am I to judge?). We will also have a multi tool, some chain lube, a floor pump and some tubes. We have given up on having the right tube for you. There are now officially just too many options. If you can stick the tube that is there in your bike then great! get back in the race. You can send a tube to the aid station but we are not taking wheels etc. When: April 13, 2019. Registration opens at 9:00 and closes 1 hour before your race start. XCMarathon starts at 11 am. Half-Marathon starts at 11:30. U19/Sprint Starts at 12:00. Please please please come early. We have had to delay the start a few times because people show up at the last minute and we have to have them in the system before we can start. This is when riders get grumpy with us and Gen and Sheri get grumpy with me! Get there on time! Podium when most riders have finished. Grab a burger and cheer people on. We will also do draw prizes at the podium. We have some AMAZING draw prizes. stick around man, it is going to be insane!! !